I have been meaning to create with the Simon Says Stamp Feb. Monthly Card Kit and I finally got to play with them yesterday! Sadly, the card kit is now out of stock. 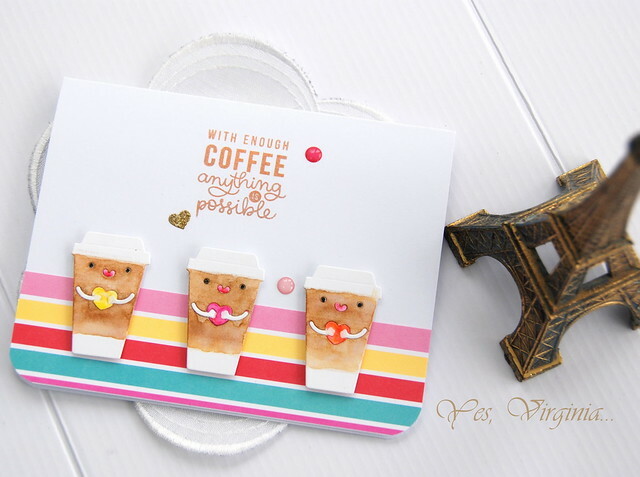 However, this cute Coffee Love Die is still available (as I write this post). The die is small (measures 1.6" x 1"), but it is so fabulously designed down to the tiny heart and hands! The Doodlebug Cream and Sugar 6"x6" is perfect with this die. For the coffee die, I made the die cut with Bristol Paper. If you have not tried Bristol paper before, it is fantastic for light watercoloring. This is also my first time using Delicata Copper (see sentiment), I am quite pleased with the result. I did do double stamping with MISTI to ensure the proper inking. if you like to see the samples that I created with Simon Says Stamp products, please scroll down or see this post. so fun Virginia! I haven't played with that die yet, thanks for the awesome inspiration. Has got to be to cutest coffee cup ever. And the coloring is so spot on. 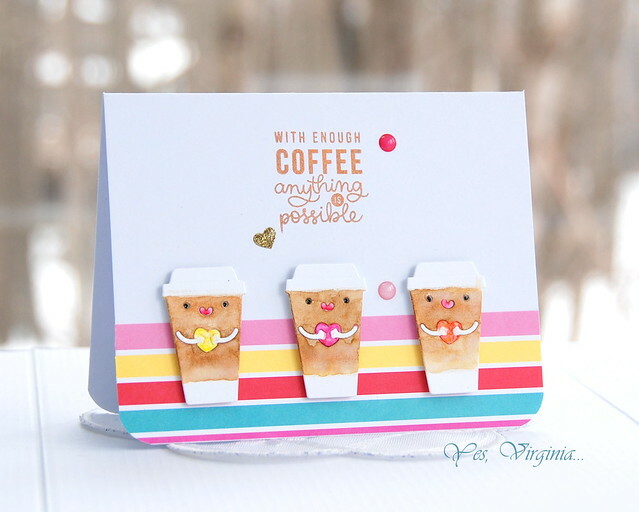 Just a darling caffeinated card. 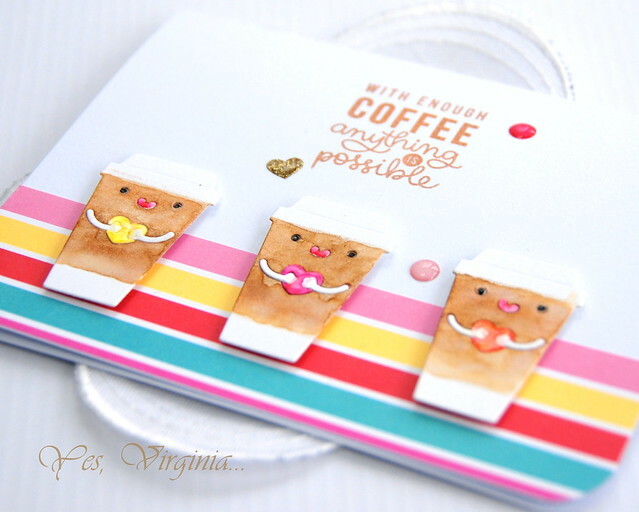 Your card is cute and sweet, Virginia. Your colors are delicate and pretty. Great sentiment! The coffee cup is so cute! Love the colors and design of this card! Cuteness overload! Love the colors. SO CUTE! Love how those stripes ground those adorable coffee cups. Darling little coffee to-go cups, Virginia!! So true! Love that little die in this kit, it is so cute. Beautiful card! Love those cute coffee cups!